Home/PK Simpson Blog/Single driver accident and compensation: who’s to blame? Single driver accident and compensation: who’s to blame? A recent court case has highlighted the level of blame associated with drivers in single-car accidents. Do you know your responsibilities? 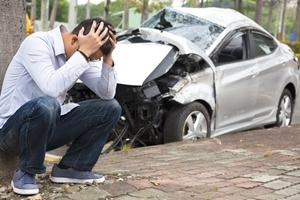 Crashing can cause both personal injury and damage to your motor vehicle. If this occurs, it is essential you seek the advice of an experienced accident lawyer who can guide you through the compensation process. An accident solicitor can help you if you are blameless in a traffic crash. However, due to the sheer variety of accidents that occur on Australian roads, there are times when responsibility can rest upon no one’s shoulders. Is there always someone to blame? In 2011, a person was riding a motorcycle on a dirt road between Hungerford in Queensland and Bourke in New South Wales. The Bourke-Hungerford Road was unsealed red dirt that is typical to outback Australia. It had an average width of approximately 20 metres, with a further cleared space extending either side of the road until it reached the nearby foliage. The road was thus between 23 and 32 metres in length with a speed limit of 100 kilometres per hour. 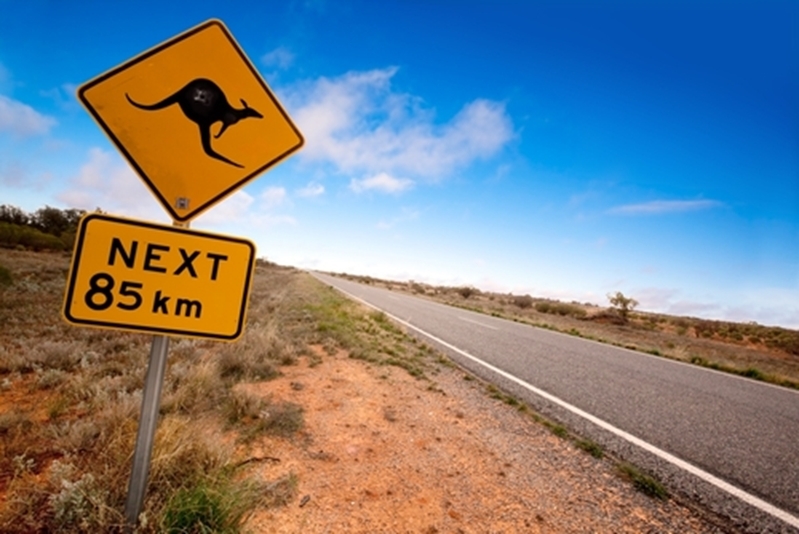 Around 20 minutes after setting off from Hungerford the driver was struck by a kangaroo. As a consequence, the person came off the bike, landing heavily on his shoulder and possibly losing consciousness. As a result of the accident, the man brought legal action against the owner of the motorcycle and the third-party insurer. To resolve the case, the Judge needed to interpret the Motor Accidents Compensation Act. Specifically, section 1.2 which has provisions for no-fault claims. One of the plaintiff’s claims was that using the recovery for blameless accidents. The defendants argued that the plaintiff was not blameless for the accident and instead he acted negligently because he was riding at a speed in excess of the limit and failed to keep a lookout for obstacles in his way. The Motor Accidents Compensation Act allows damages for a person injured in a crash that is caused by the fault of the owner or driver. However, there are also provisions that allow for the recovery of damages due to blameless accident provisions. For those seeking compensation in single vehicle accidents, the case is an important precedent in relation to the way in which the blameless accident provisions are applied. Who is to blame for a blameless accident?Who is to blame for a blameless accident? One of the main takeaways from the case is the question of whether the act or omission of the driver directly caused the collision or that it is “a background fact which explains no more than why he was in a position where he could be…”. The Supreme Court’s decision in effect expands the blameless accident provisions to incorporate drivers in single motor vehicle accidents who are aware of a risk but do not have the capability or opportunity to correct for it. The case is important because it opens up a range of new incidents to interpretation under the Motor Accidents Compensation Act. For instance, if a crash involving multiple drivers occurs but neither driver are responsible due to time constraints on action, both could be entitled to recover damages. An injury lawyer can help you recover damages in a single vehicle crash. If you are involved in an accident that you are not at fault for, you may be entitled to compensation for any injuries you have received. If this is the case, it is essential you talk to an experienced injury lawyer who can advise you on your options. Cases such as these are one of the reasons PK Simpson offer a no win, no fee guarantee. We charge no upfront costs and only receive remuneration from the compensation you receive upon a successful settlement. Talk to PK Simpson today to find out more. By PK Simpson Lawyers| 2018-03-14T09:17:28+00:00	March 9th, 2016|PK Simpson Blog|Comments Off on Single driver accident and compensation: who’s to blame?